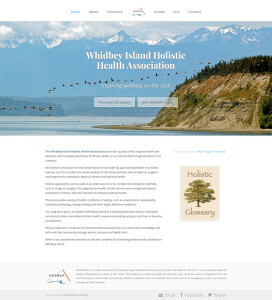 Whidbey Island Holistic Healing Association was a different kind of project. The site required putting together a directory of businesses on the Puget Sound, and there was a very specific set of functionality needed. The great thing about developing on a platform like WordPress is the versatility. The framework is database driven so creating a directory (sortable by name, modality or location), publishing a regular schedule of events…all of that is pretty easy to do. With WIHHA.com, we automated the signup form to reduce data entry for the client. When a practitioner joins, the data filled out on their form is carried into their directory listing. Once reviewed and approved on the backend, the listing is published. Simple as that!